Exploring the conceptual vision that will inspire all that participate in the complex process of constructing structures is crucial to successful projects. Often many parties need to be rallied to pursue a common goal and a vision concept is the tool that can get them excited and on board. 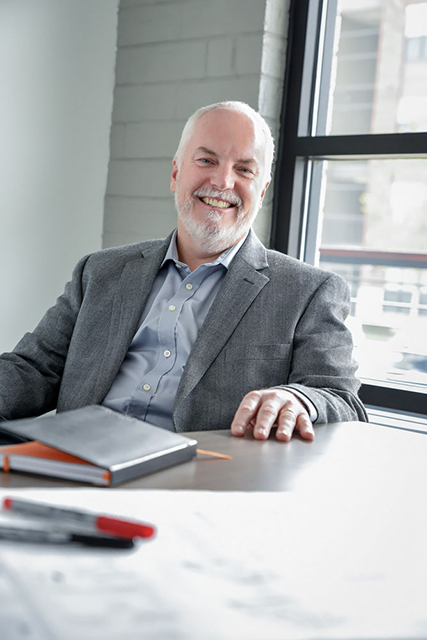 Richard has over thirty years of experience in directing the design for projects pertaining to retail, office, multi-family residential, hospitality, entertainment, and restaurants from small scale to mega-projects. His talent for pinpointing the critical issues to all involved and creating a story-line that will mesh the project together can been seen in project after project. Listening and being sympathetic to his client’s business and goals is an essential foundation he uses to build a design concept upon. His understanding of attaining the greatest impact for each dollar spent has lead to many successful projects on budget with content clients. Team interaction is important to Richard and the process has to have meaning and be fun at the same time. He believes visual images are critical in communicating ideas first to the team, then eventually to the end users of the project as sales tools. Richard is inspired by traveling the world and scoping out the built environment. He often explores similar projects and analyzes what works and what doesn’t, benefiting the next project he tackles. Most likely anything one does has already been tried somehow somewhere so history can be an inspiration not a deterrence.